Bartle Bogle Hegarty London has promoted Mel Exon to managing director, replacing Charlie Rudd, who takes the newly created position of chief operating officer. Exon was previously the joint chief digital officer alongside Lindsay Nuttall, who continues in the role. Exon now takes responsibility for the day-to-day management of the London shop. At BBH since 1997, Exon is the founder of its global innovation unit, BBH Labs. Rudd, who has worked at BBH for 15 years and has been the managing director since 2008, will now lead collaboration between the core agency business and BBH’s new ventures. These include BBH’s retail operation in Milton Keynes and the new BBH Sport division, which it launched in March with the former rugby player Lawrence Dallaglio. 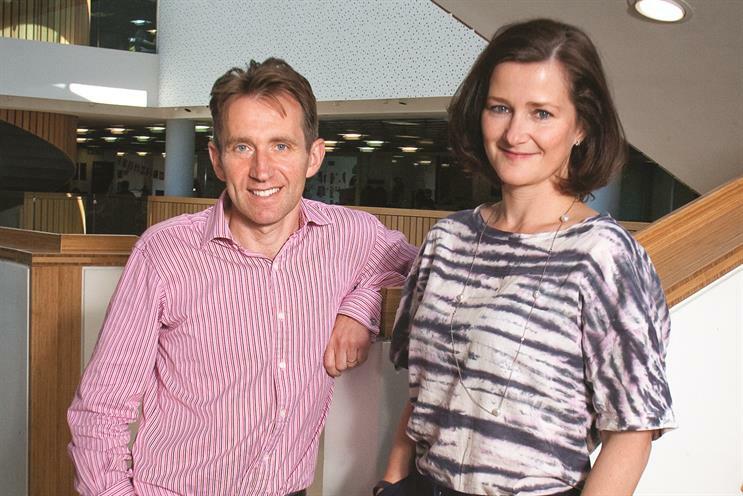 Exon and Rudd will continue to report to Ben Fennell, the chief executive of BBH. Fennell said: "Nobody lives the values of this business better than Charlie. He has done an outstanding job as the MD of BBH. Like all of us, Charlie needs growth and development in his role. This promotion is uniquely suited to Charlie’s outstanding skills. "Mel is exactly the right leader to take BBH forward. She has always built brilliant relationships, delivered great work and innovated in all that she has done." As part of the restructure, the group strategy director, Nick Kendall, and the managing partner, Heather Alderson, have left BBH following the end of their earn-outs. Kevin Brown, BBH Sport’s commercial director, has also reduced his role to two days a week. Fennell is in the process of hiring a full-time chief executive to lead the unit.